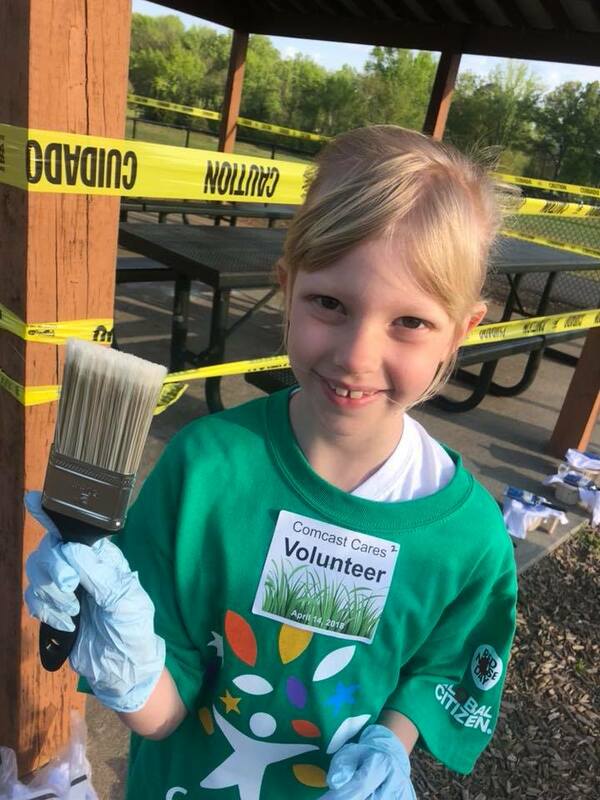 Comcast Cares Day is community building program that aims to beautify neighborhoods and inspire people of all ages to be engaged in service. 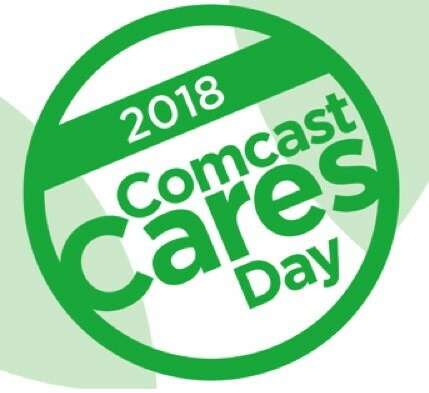 Since Comcast Cares Day began in 2001, volunteers have contributed over 5 million hours of service at over 7,700 proje cts. 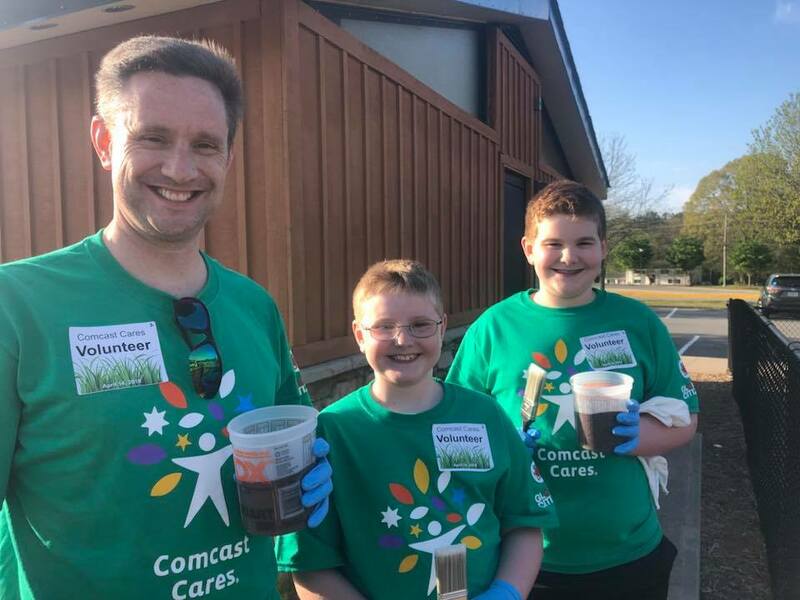 What’s more, Comcast – NBC Universal provided more than $20 million in grants to local, non-profit community partners. 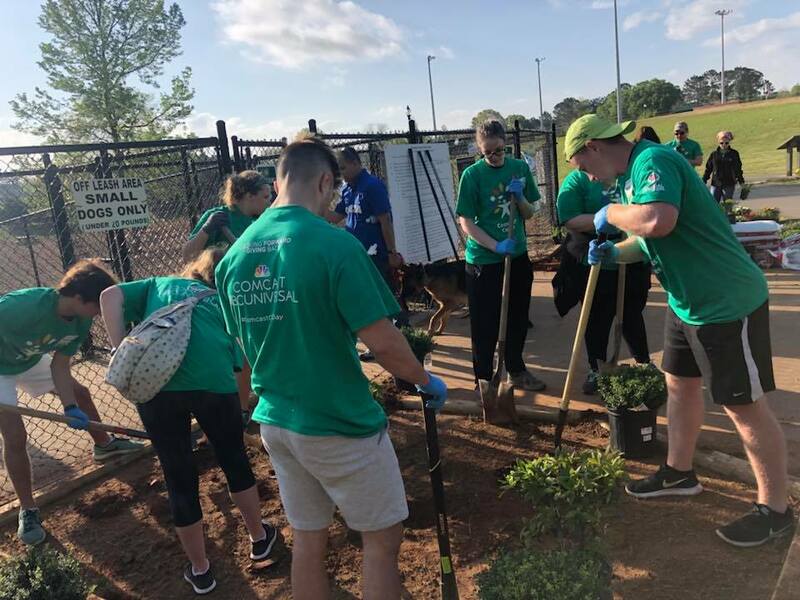 Comcast selected the City of Kennesaw, Swift-Cantrell Park, and the Swift-Cantrell Park Foundation as the beneficiaries of one of this year’s projects. 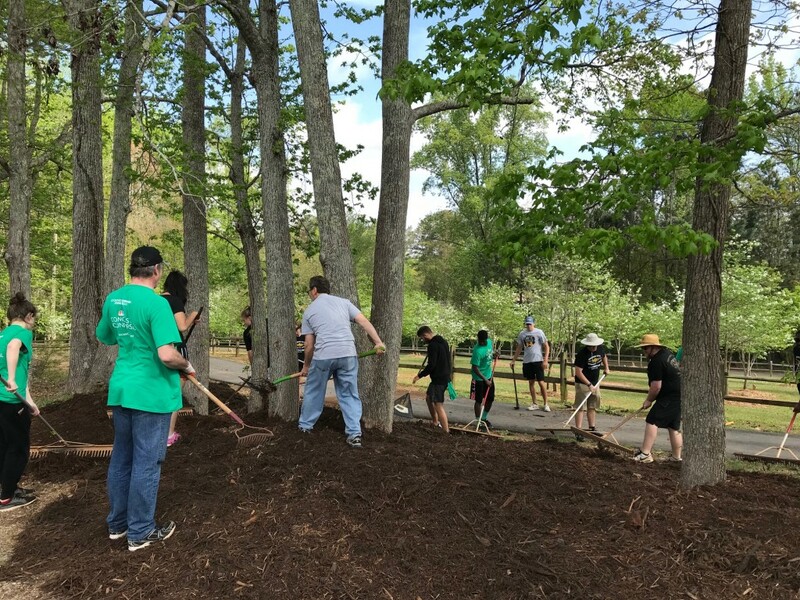 Over 100 volunteers donated their time and energy to revitalize some of the areas of Swift-Cantrell Park. 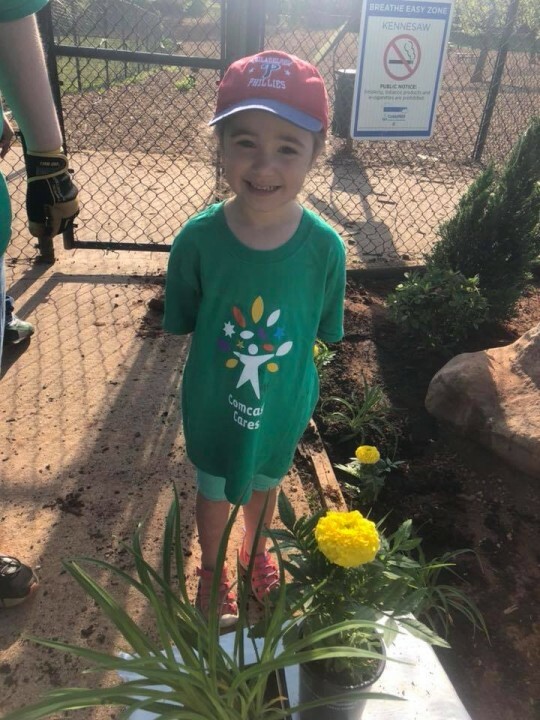 The pavilions inside the playground were re-painted, flowers and shrubbery were planted along the dog park, and mulch was refreshed through out the park. 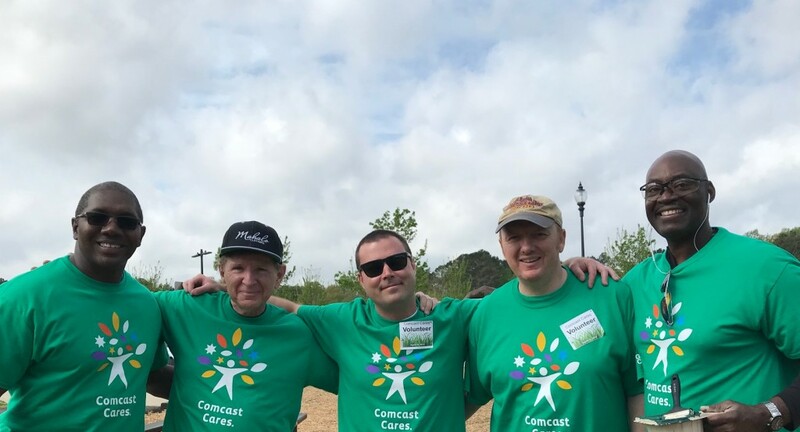 “It’s great that Comcast chose to host their Comcast Cares Day at our park,” commented Swift-Cantrell Park Foundation member, Steve Welsh. “It’s inspiring to see all these people coming together to make our park and community beautiful”. 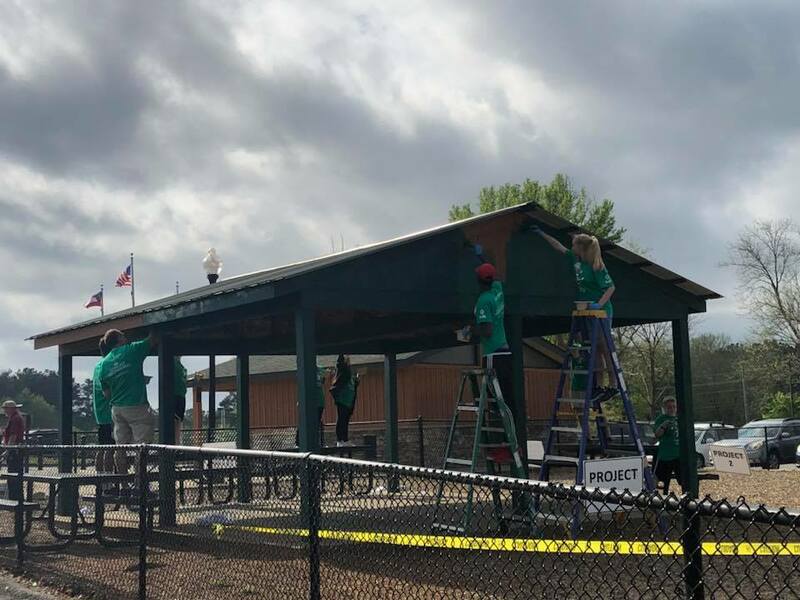 In addition to organizing and funding the park improvement projects, Comcast will also make a sizable donation to the Swift-Cantrell Park Foundation. Much thanks to Comcast and NBC-Universal for their support of Swift-Cantrell Park, the City of Kennesaw, and all of our citizens.